Shadow of Time was trade-published in my native country, Holland, in October 2013. The book has been available in English on Amazon since January 2013 and sold 2,000 copies in its first year. A Chinese edition of the book has been available since August 2013, and a German edition is in the works. 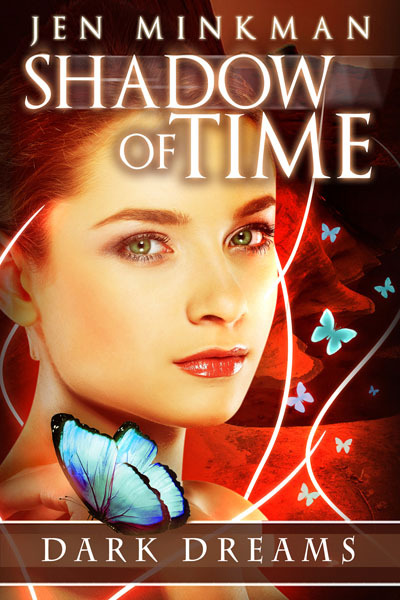 Shadow of Time is a book especially well-received by young adult readers and lovers of YA romance because it is very different from most books in the genre. Clouds of smoke billowed above the primitive hoghans of the small settlement. Hannah panted – she was on the run from a group of Mexican-looking soldiers. Even though she’d never seen soldiers dressed like them in her life, she instinctively knew they were from Mexico, and they didn’t mean well. “Run!” she cried out to the people she met on her way through the village. In front of her, she saw burning hoghans and Navajo people trying to put out the fire with buckets of water. Hannah knew she was looking for someone. Someone who meant a lot to her. She bumped into fleeing villagers, tripped over her own feet, and scraped her knees when she fell down. Frantically, she tried to stay out of sight of the Mexicans on the village square by hiding underneath some thorny bushes. And then, her eyes focused on a figure running across the square. He came closer, saw her lying there, but averted his eyes so he wouldn’t alert the soldiers to her presence. Hannah stared up in utter confusion. That man who was trying to protect her was the man she’d been looking for. And it was Josh. He looked older, about thirty years old, but it was definitely him. He was wearing traditional clothes and carrying a bow, which he now raised to draw the string and release an arrow at the approaching soldiers. Behind him, a hoghan collapsed under its own weight, spitting up flames and smoke toward the sky. Hannah coughed and her eyes began to tear. And then, she jolted awake, startled by the sound of her ringing phone. Hannah opened her eyes and wildly flailed her left arm to grab it from the bedside table..
Deborah was awesome to work with!